Like Dave Zatz and Matt Miller, I made the leap into the netbook pool with a new MSI Wind. Technically, I guess I really made my wife take the leap. She has been in disparate need of her own personal laptop as I am just too overprotective of and particular about my ThinkPad T61. What I really wanted to buy her was a top-of-the-line MacBook, but we just couldn’t justify the price. (Even with the Live.com cash back, the lowest price I could find was $1,300.) After reading several blog posts and listening to a couple of podcasts, I got the idea to purchase a cheap, tiny netbook instead. I passed on the Lenovo Ideapad S10 because it only had a 3-cell battery and a poorly-reviewed keyboard. The HP Mini 1000 was a bit more expensive and sacrificed too much performance to get the slightly smaller size; I didn’t like the tiny and slow iPod-sized hard drive and it doesn’t have a 6-cell battery option. 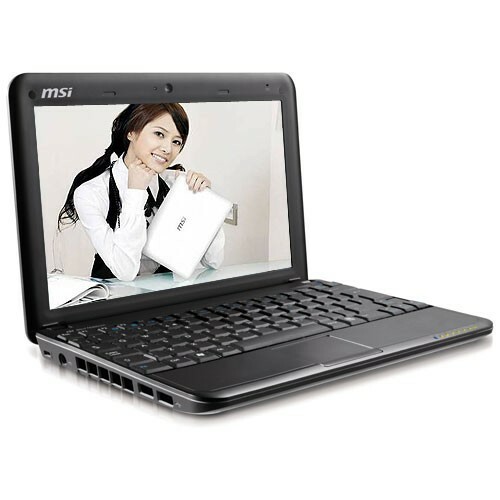 The Asus Eee PC 1000H was my second choice and is largely identical to the Wind, but I ultimately picked the MSI due to better Mac OS X compatibility should I choose to purchase and install that OS. It also has a better keyboard layout, although the Asus has a larger trackpad that supports multi-touch. The best part is the price. $337 after applying the Live.com 25% cashback from Ebay. I can’t believe how inexpensively laptops have become. Of course, I had to do an upgrade. More memory is always better and I purchased an additional 1GB of Crucial Memory for $13 shipped from Newegg. More details on my experiences with the MSI Netbook are to follow. Nick, it’s a U100 MS-N011.